Christchurch - All Blacks fullback Israel Dagg marked his return from injury with a try as Canterbury Crusaders came from behind for a bonus point 57-14 Super Rugby victory over South Africa's Cheetahs on Saturday. Dagg, who had been sidelined for a month with a thigh injury, finished off a sweeping move for one of four tries in eight second-half minutes that turned a 14-10 deficit into a 38-14 advantage. The floodgates opened when Cheetahs fullback Willie Le Roux was sin-binned in the 50th minute for a high tackle and the Crusaders were awarded a penalty try from the ensuing scrum. Centre Dan Carter pounced on a loose ball to cross after Dagg and hulking winger Nemani Nadolo scored an individual effort to round out the blitz, collecting his own grubber kick on the left wing in the 58th minute. 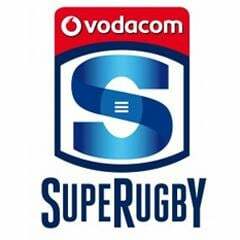 Flanker Jordan Taufua and Carter later scored their second tries of the evening and replacement back David Havili scored his first in Super Rugby when the Cheetahs were again down to 14 men after Springbok prop Coenie Oosthuizen was yellow carded. The Crusaders, looking to hang on to the coat tails of the unbeaten Wellington Hurricanes in the New Zealand conference, dominated the first half and opened the scoring when Taufua forced his way over the line after 18 minutes. Two tries in three minutes from Cheetahs centres Francois Venter and Johann Sadie around the half hour mark stunned the Christchurch crowd, however, and the Bloemfontein-based outfit went into the break with a 14-10 lead. 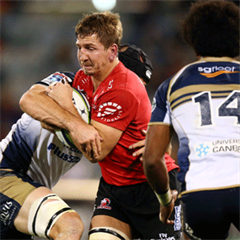 Carter also converted seven of the eight tries and kicked a penalty for a total contribution of 27 points as the Crusaders recorded their third win in five matches.